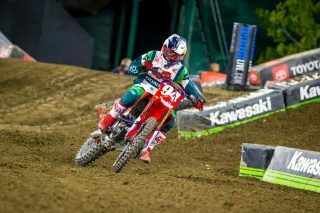 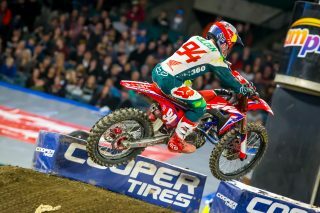 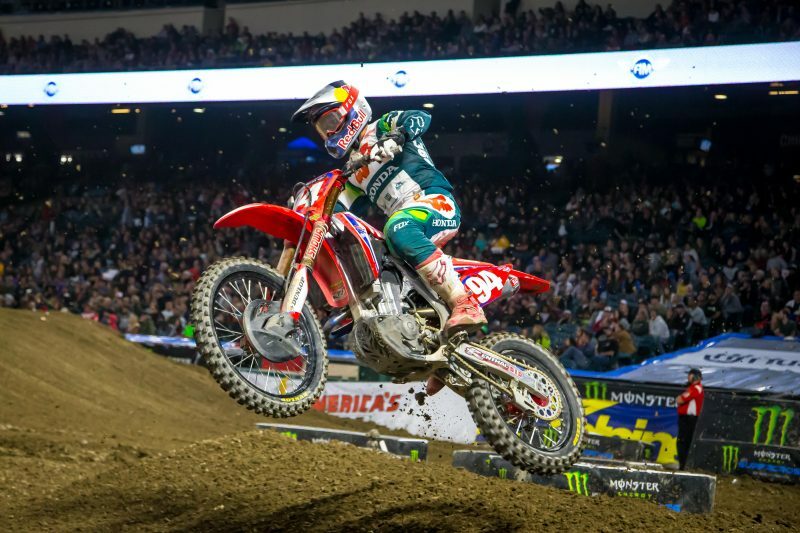 Round 3 of the AMA Supercross series at Anaheim’s Angel Stadium, which hosted the first Triple Crown event of the season, saw Team Honda HRC’s Ken Roczen put together a solid performance aboard his CRF450R to finish fourth overall with 2-5-4 finishes, maintaining control of the series points lead. In the night’s first of three 450SX races, Roczen launched to the holeshot and early lead. 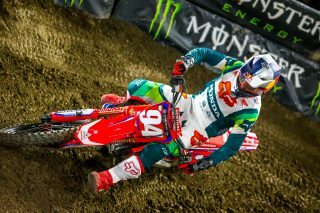 He rode comfortably and confidently at the front front until a last-lap mistake allowed Cooper Webb to make the pass, forcing the German to settle for second. After the gate dropped on the second race, Roczen came around the first turn in sixth but worked his way up to third by the halfway point. He then went down in the whoops and remounted in seventh. 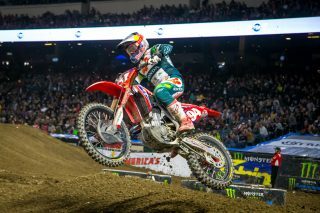 He spent the remainder of the race fighting for positions, ultimately taking the checkered flag in fifth. 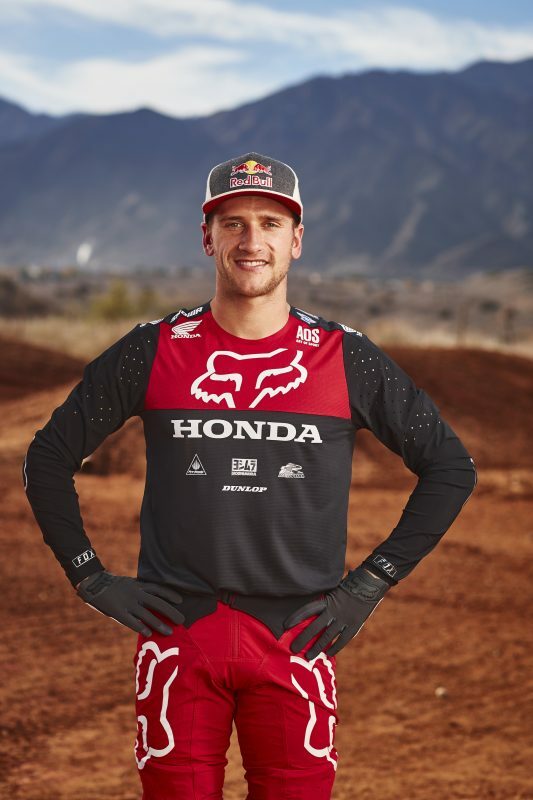 In the night’s final race, Roczen got a poor start, completing the first lap in sixth, but he put his head down and worked his way into fourth by the finish. 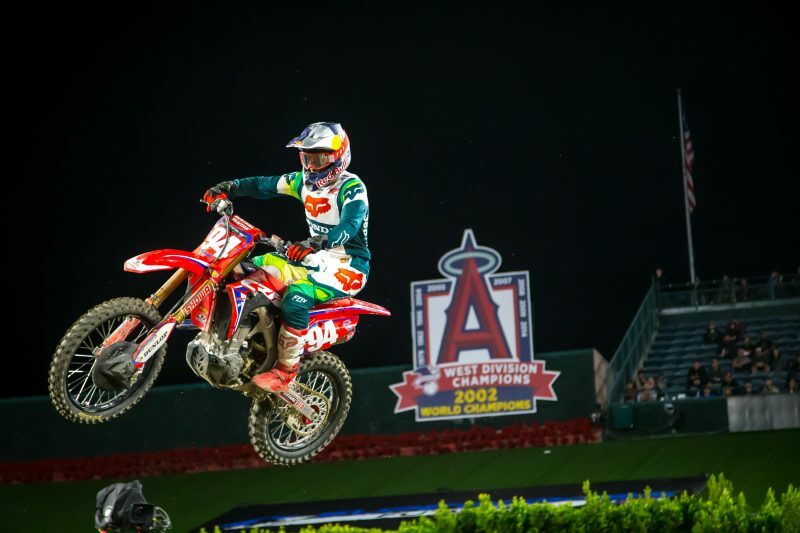 Teammate Cole Seely also delivered a solid result on the night, riding to a strong sixth-place overall finish with 5-7-13 marks. 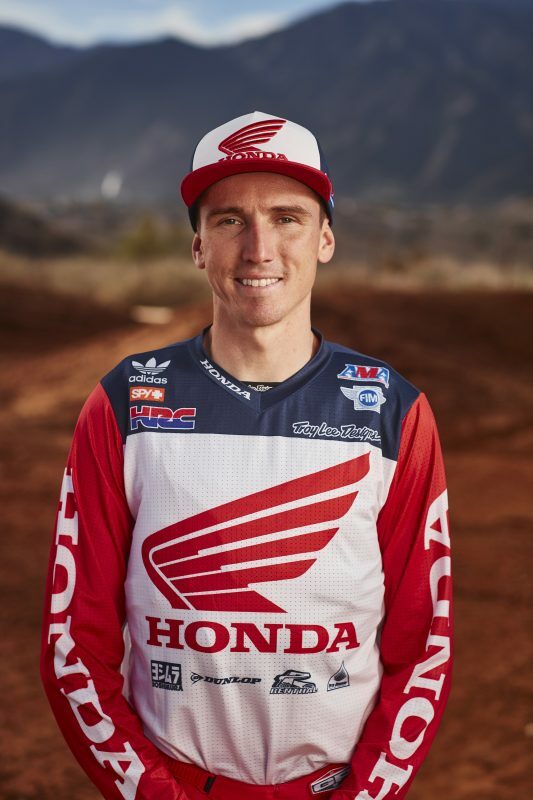 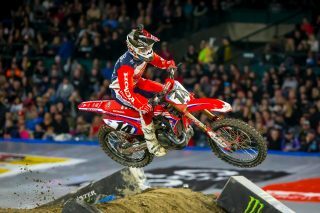 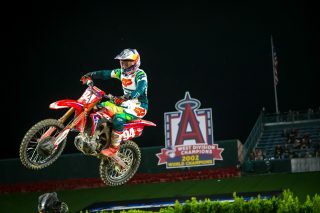 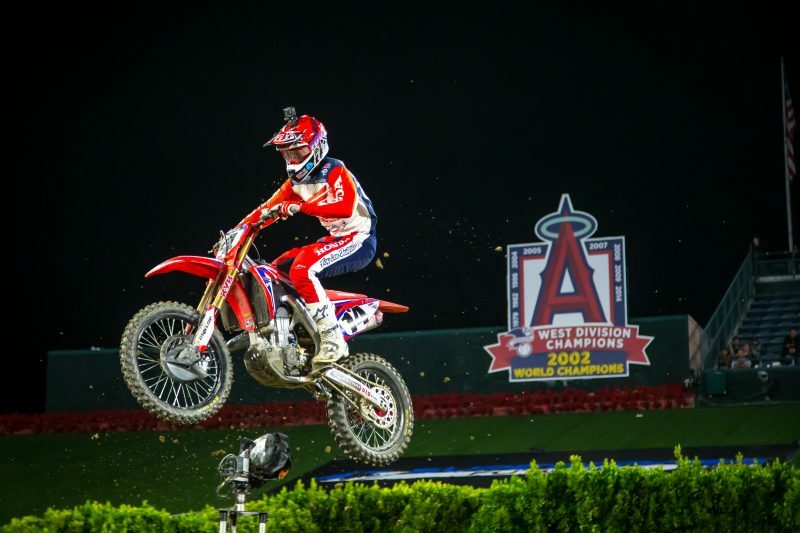 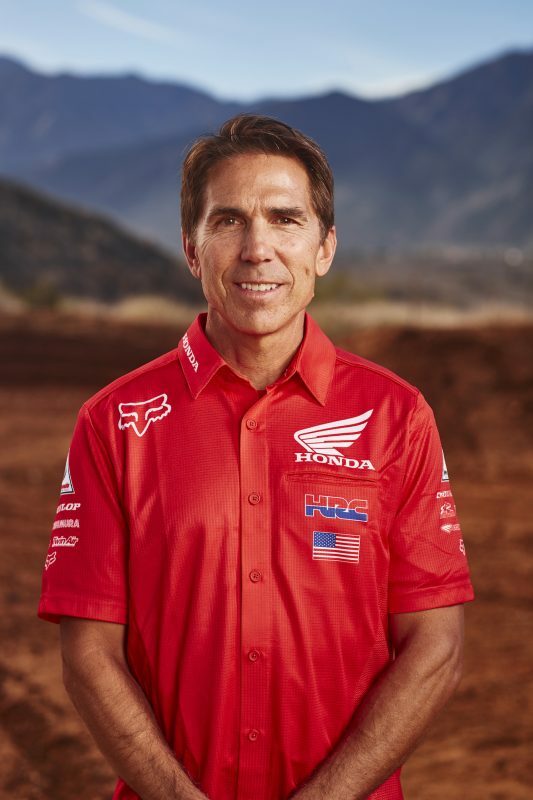 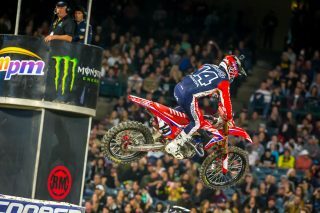 In the first race, Seely came around the first turn in fourth but relinquished one spot on the opening lap, then maintained fifth throughout the entire 12-minute-plus-one-lap race. 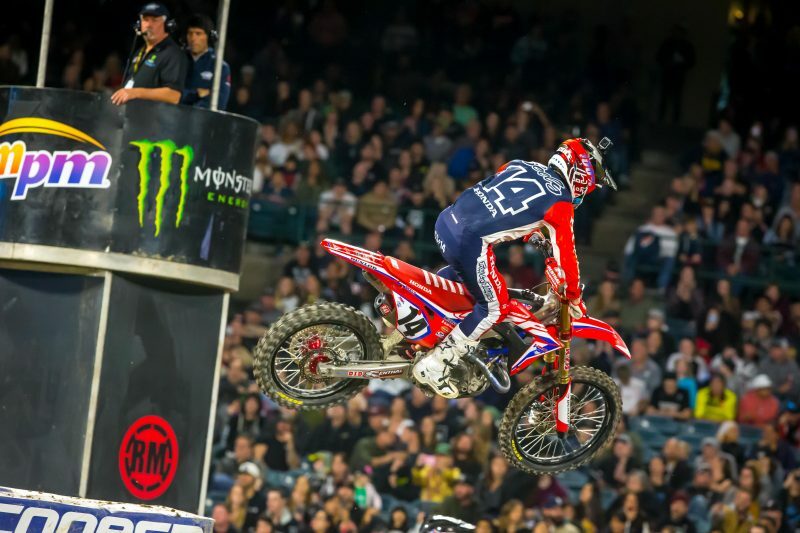 The Californian continued his strong showing in the evening’s second race by grabbing a second-place start and posting impressive lap times early in the race. 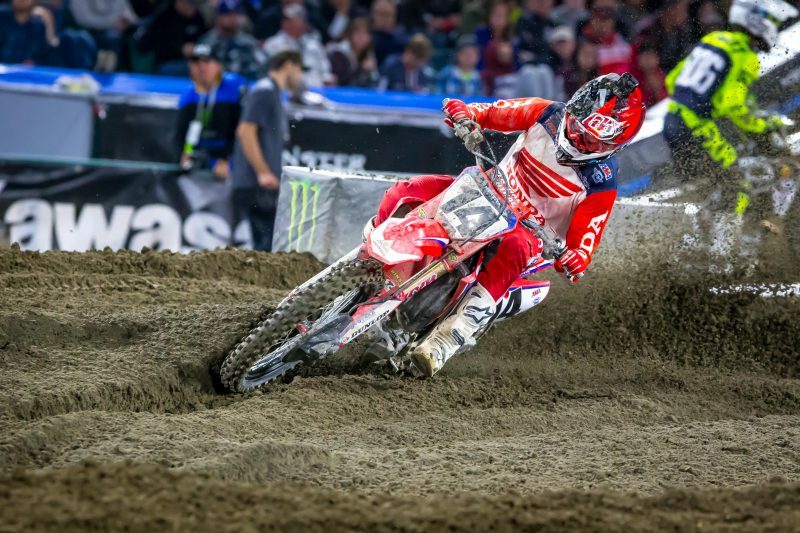 He lost momentum toward the end, relinquishing multiple spots and crossing the line in seventh. 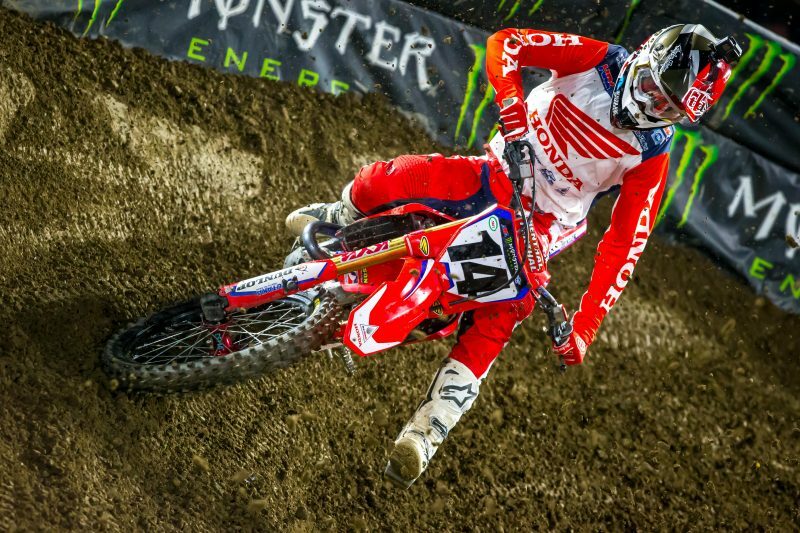 A less-than-desirable start in the final race left Seely outside the top 10 and unable to find his rhythm, and he crossed the finish line in 13th. 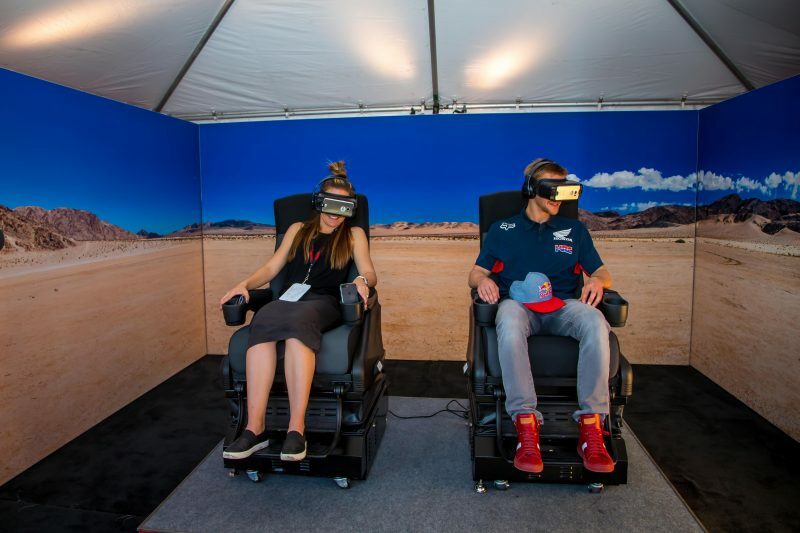 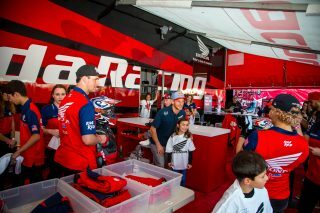 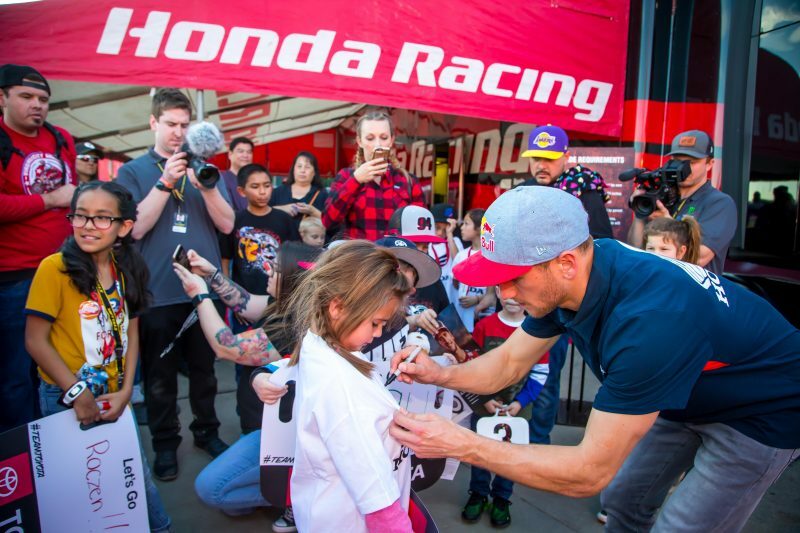 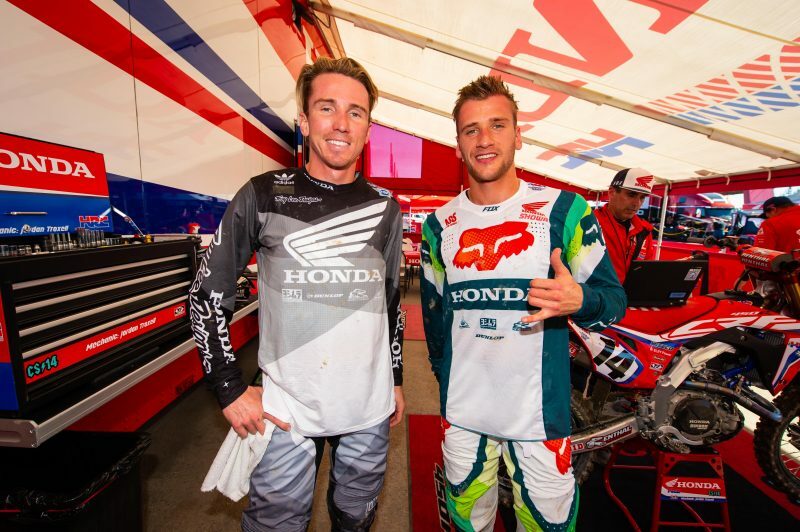 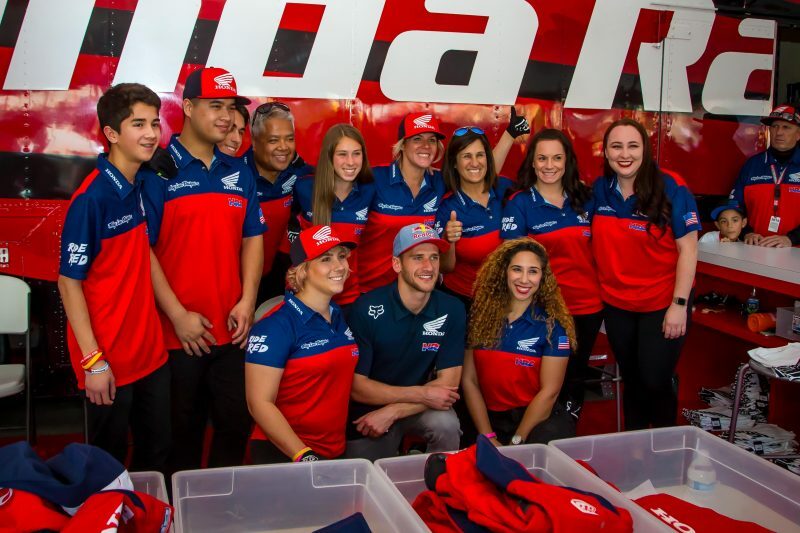 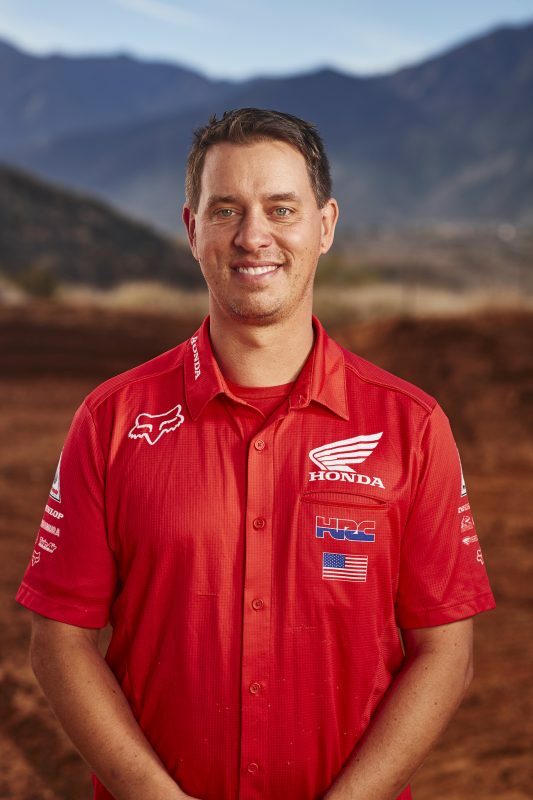 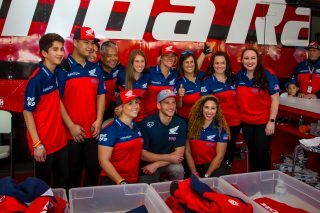 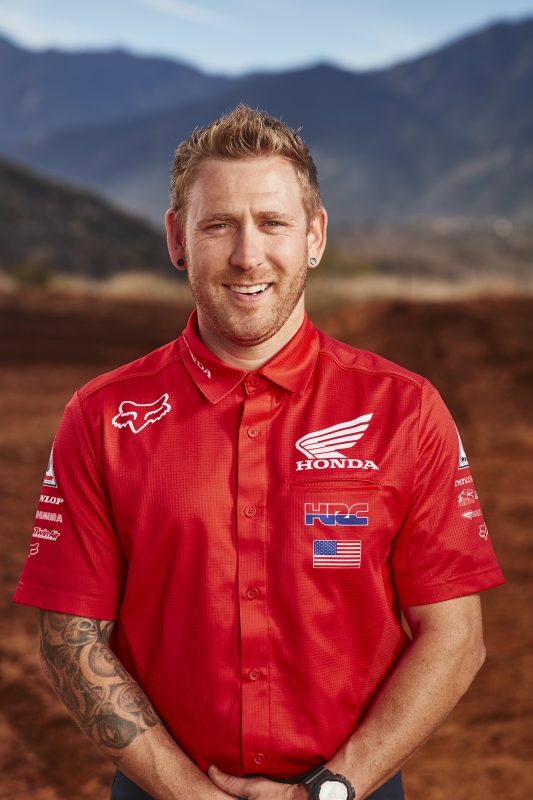 On the eve of the race, the Red Riders participated in an autograph signing at Huntington Beach Honda, where Honda’s new Talon side-by-side was also a hit with the fans who turned up.